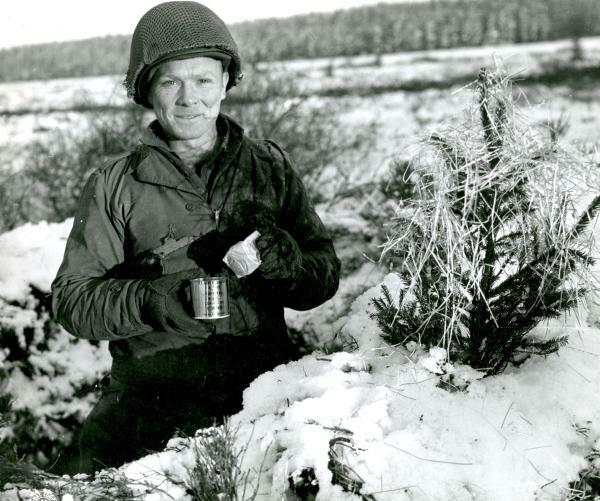 Sergeant John O'Brien of Pittsburgh, PA., Konshau Area, Germany, December 23, 1944. Nearly 1,250,000 Pennsylvanians of many nationalities and from all walks of life served in the armed forces during WWII, the second most of any state in the union. Among them was Sergeant John O'Brien of Pittsburgh, pictured here with his makeshift Christmas tree in the Konshau Area of Germany on December 23, 1944. More than 33,000 Pennsylvanians lost their lives during the war.